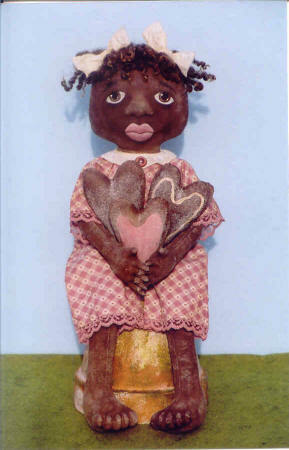 HHF 214 Brown Sugar is a sweet 18" fabric painted doll. Her nose is machine sculpted and the rest of her face is painted. She carries 3 prim "sugared" hearts that only add to her sweetness! The hearts are made from muslin and are painted. Make a bunch of hearts and put them in an old basket and place them on a table for some charming country home dÃ©cor! HHF-192 Little Kitty Annie 14" Annie in her black fleece kitty outfit. 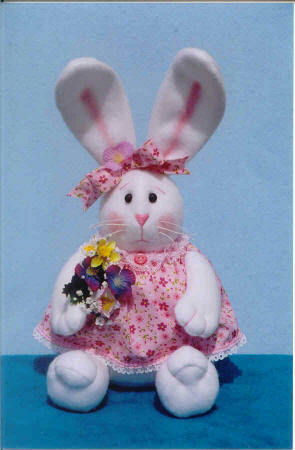 HHF-195 Sweet Spring Bunny 10" (15" including ears) white fleece bunny. Fast & easy. 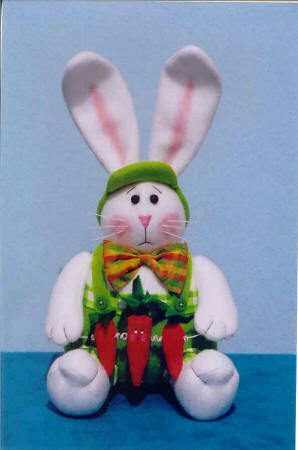 HHF-197 Spring's Ahead Bunny - 10" (15" including ears) white fleece bunny. Fast & easy. 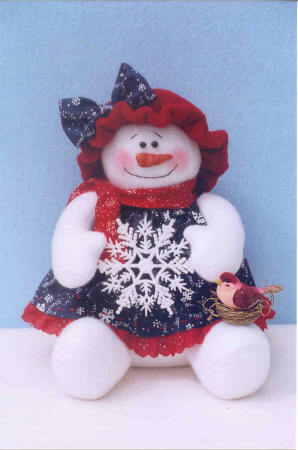 HHF-196 Snow Pretty 10" white fleece snow girl. Fast & easy. 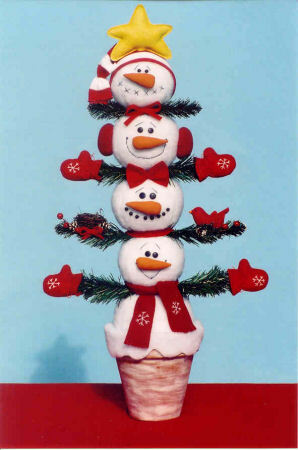 HHF-198 Snow Happy - 10" white fleece snowman. Fast & easy. 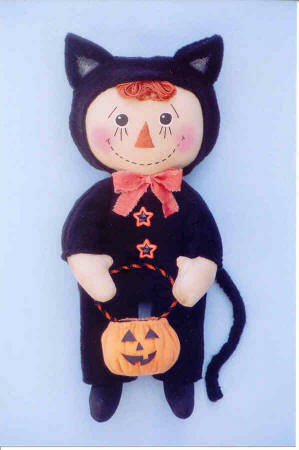 HHF-199 "BOO" Kitty 10" black fleece kitty. Fast & Easy. HHF 162 Sweetie Pie & Cutie Pie. This pattern includes both little girls who have been busy baking pies! 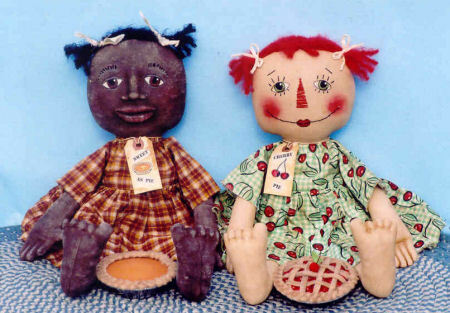 They are 18" and have painted heads, arms and legs. 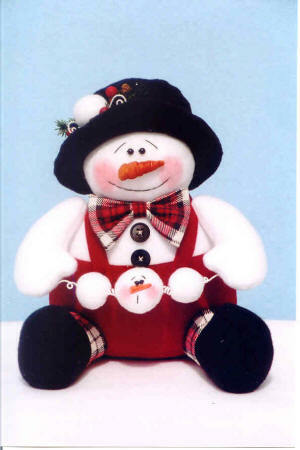 Pattern price is $8.50 ppd. HHF 163 Mammy's Chicken €˜n' Dumplins. 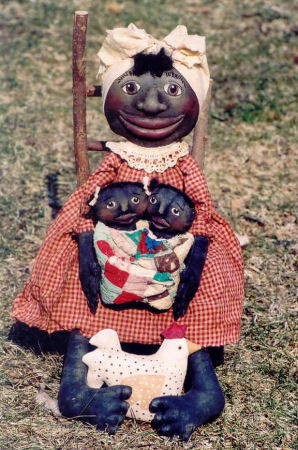 This black mamma is all smiles. She is 22" and holds her dumpling children and pet chicken. Mammy, children and chicken are painted fabric. 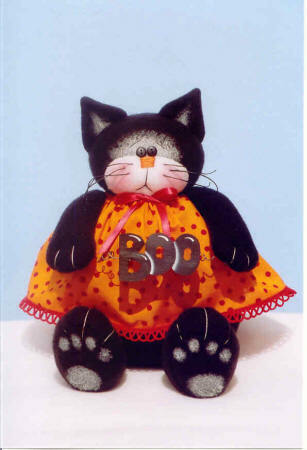 Pattern price is $8.50 ppd. HHF 159 Annie's Sock Monkey Old friends make the best collectibles. Pattern includes directions for both Annie and her sock monkey girlfriend. They are both 17" tall. 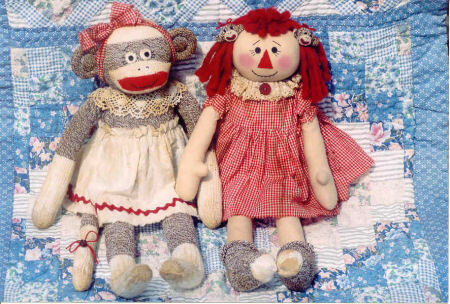 Annie is made from tea stained muslin fabric and sock monkey is made from a pair of large Rockford red heel socks. Pattern only is $8.50ppd. Pattern with a pair of large Rockford red heel socks is $13.50ppd. 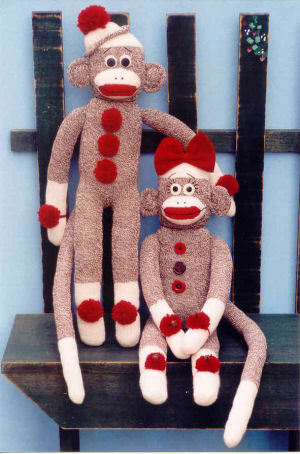 HHF 157 Boy & Girl Sock Monkey 23" monkey made from one pair of large Rockford red heel socks. 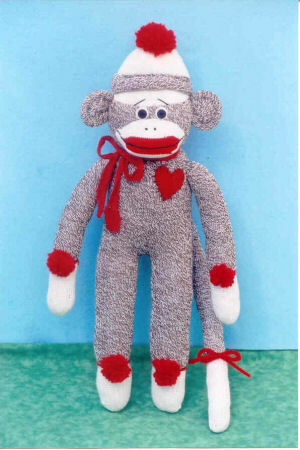 Decorate sock monkey to make the boy or girl. Pattern only is $7.50ppd. Pattern with one pair of Rockford red heel socks is $12.50ppd.